Every programming based job has some repetitive work that needs considerable amount of time, but it does not offer any new learning. These activities could involve updating a spreadsheet, running test cases, checking test logs, updating environment for common changes, etc. Unfortunately many times, people end up spending lot of time on these activities. This is where scripting makes it easier by automating the way we do things. A well coded script can reduce the amount of time considerably and also reduces the bugs due to human errors. Python programming is not just limited to above, it can do many interesting things. 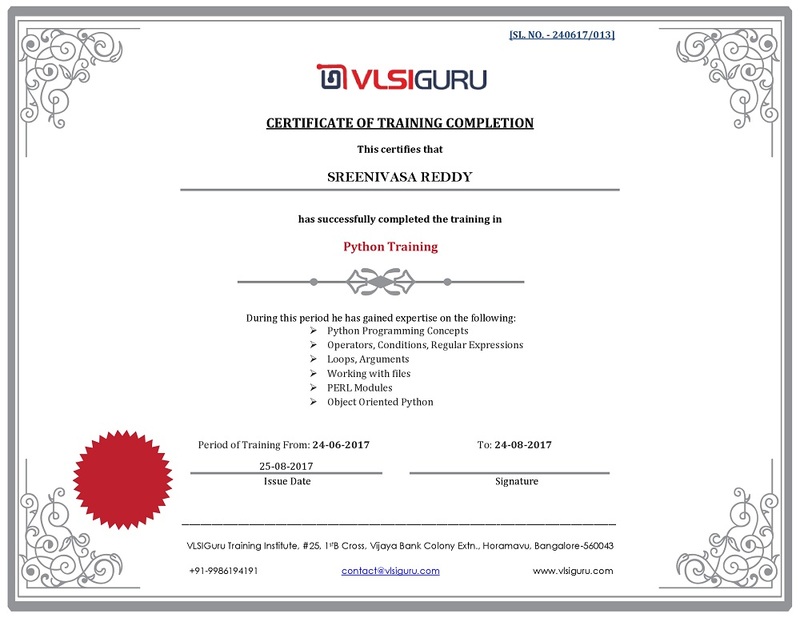 Python Training is targeted towards every engineer who is looking to enhance scripting skill set. Though there are many scripting languages like TCL, Shell, Python, etc, Python stands apart because of 1000’s of open source Python modules made available as part of Python package. Python modules are pre-implemented libraries making whole scripting much easier. Course will focus all teaching all Python concepts starting from basic to advanced. Each aspect of Python training is supported by multiple examples. Python installation is done on student laptop to enable them to practice examples at their end. Course also focuses on developing scripts specific to VLSI and functional verification requirements. However course is not just limited to VLSI. Every engineer who has repetetive work on daily basis, and would like to automate the same. Time can be better utilized on learning more interesting things. 10+ years of rich experience of working on scripting using PERL, TCL, SHELL & PYTHON. Experience of implemeting automation at different stages of project flow suing PERL, TCL & SHELL.